It is the same story repeated again and again – India’s broadband adoption continues to grow at a meagre pace, even as other much under-developed countries also faring quite well. Yes, we did some-what skip the PC revolution and adopted mobile at much faster pace, but our internet connectivity remains in a sorry state. 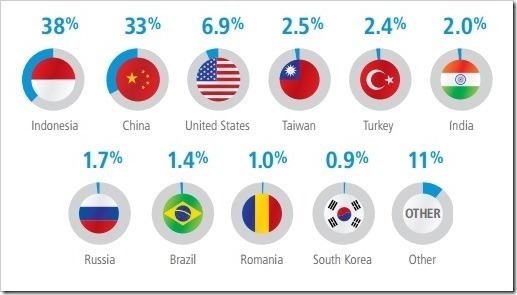 According to the latest global quarterly report – State of the Internet – released by Akamai, India slipped back into the position as the country with the lowest level of high broadband adoption among all qualifying countries, at 0.2%. 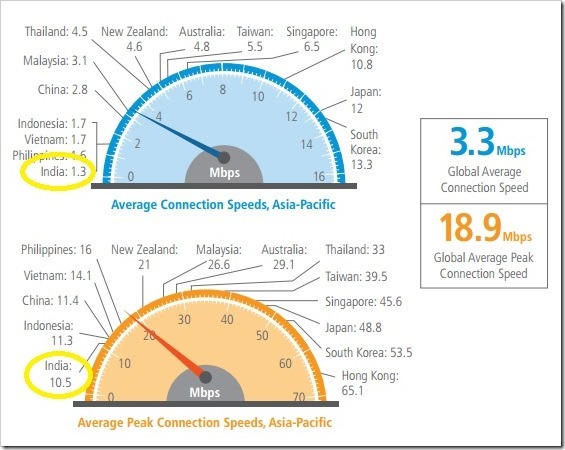 On a global level, the average speeds increased from 3.1 mbps in Q1 2013 to 3.3 mbps in Q2 2013. India also fared lowest in the peak average speeds, registering 10.5 mbps as compared to 8.5 mbps in previous quarter. 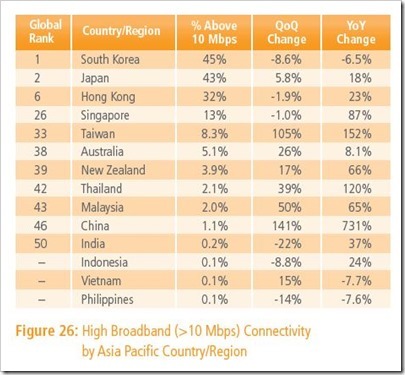 When it came to number of connections having high speeds (over 10 mbps), India fared slightly better with 0.2 percent of connections, ranking 50th globaly. Asia-Pacific region remained the top originator of attack traffic with 78% percent originating APAC/Oceania region. 38 percent of all attack traffic on Akamai Network originated from Indonesia, followed by 33 percent from China and 6.9 percent from United States. Attack traffic originating from India came down from 2.6 percent from first quarter to 2 percent in this quarter. India’s internet woes are increasingly getting bigger. While our internet speeds are not improving, we are also loosing our internet freedom. A recent Freedom House report mentioned that India is only “partially free” when it comes to Internet! Internet has gone mainstream now across the world, and India needs to take serious steps to improve on infrastructure and internet access, without which it will become difficult for online businesses and startups to survive! Lot More Indians Will Shop Online This Diwali!